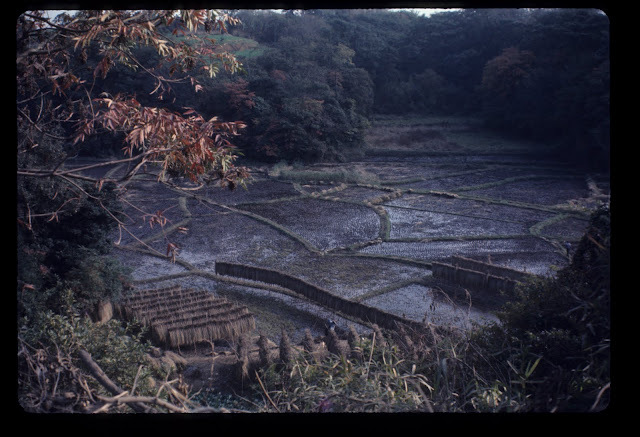 Rice paddies in a wooded area. A scanned slide. Notice the drying rice stalks in the lower left.